Over seventy thousand Montana workers can’t find work or can’t get the hours of work they need to make ends meet. But stagnant, high unemployment is not just a problem for the jobless. A strong economy is dependent upon a strong middle class. This means access to good jobs, wages, and benefits for a hard day’s work. When tens of thousands of Montana workers are unemployed or underemployed, economic growth and prosperity are limited for all Montanans. 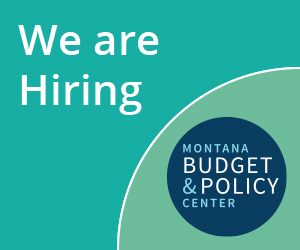 This report serves as a reminder to our policymakers that our first and primary focus must be on building an economy in Montana that will encourage job growth. Read full report.